Eileen Oliver has practiced Yoga for almost 40 years, and has been a teacher for ten years. She has always wanted to write a book for people of her age who would like to try Yoga but who thought that they were a little too old or a little too stiff to try. 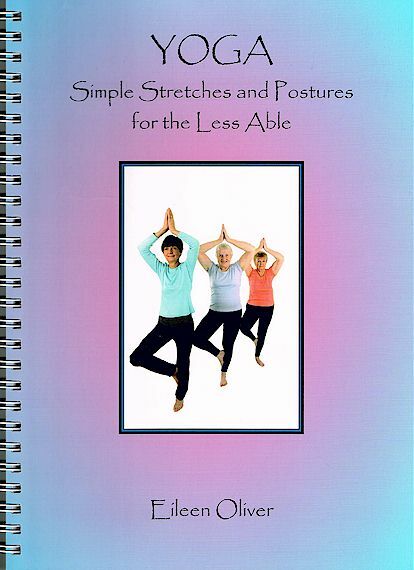 This book describes and illustrates a series of exercises and poses for people of all ages to attempt. From the beginner to the perhaps irregular practitioner these exercises are laid out in an easy-to-follow manner, with colour pictures to help guide you through the process of becoming fitter and more flexible. Chapters cover what is Yoga, warm-up exercises, proper breathing and a final chapter on meditation. Exercises and stretches are well illustrated with colour photographs taking you through each step. From learning how to breathe correctly to developing techniques for meditation, every reader will benefit in some way. Over 260 photographs and illustrations.